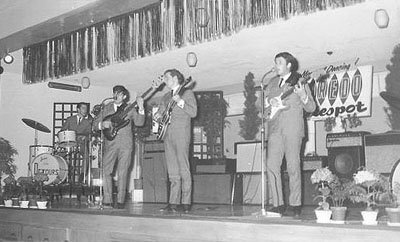 The Detours were a Christchurch based group around from 1962 to 1966. The above line-up was just one of a number of configurations. They released two singles on the Robbins label, one in 1964, "Murphy the Surfer"/"April In Portugal" and the other in 1965, "My Girl"/"I Just Can't Go To Sleep". 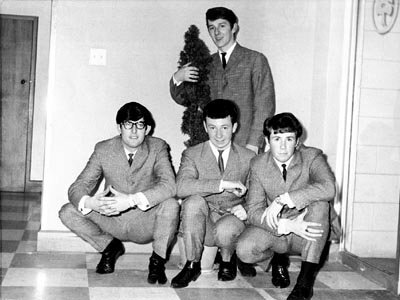 L to R: John Clinton, Trevor Wright, Larry McKay and John Campbell.